Are you space obsessed? Do you constantly look to the stars and read about space exploration? 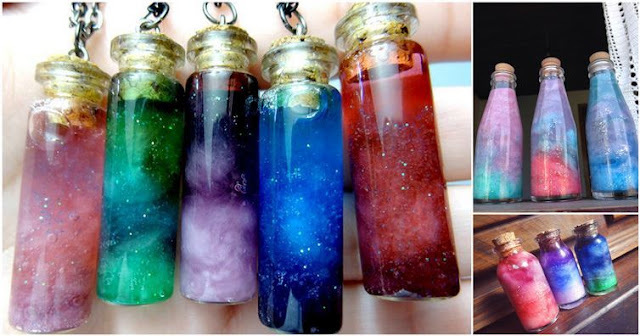 With this super easy (and kid-friendly) DIY, you can bring a bit of outer space to your bedroom by creating your own bottled nebula. The bottled nebula is a fun and easy way to add a little sparkle to your room and it only takes a few minutes to do.